Last year, toy manufacturer Mattel gave its iconic View-Master stereoscope a 21st-century makeover by turning it into one of the best Google Cardboard viewers you could buy. Now, the company has unveiled the updated, second-generation version of the device: the Viewer DLX. 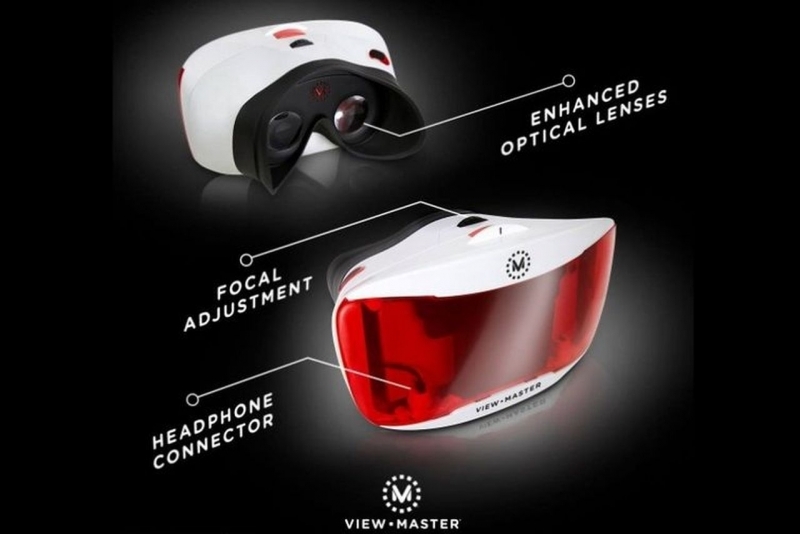 This new iteration of the View-Master, which Mattel showed off at the New York Toy Fair last weekend, fixes many of the original's minor – but often annoying – faults. The biggest improvement being that the DLX now includes a headphone jack adaptor, so you no longer have to endure the muffled sounds coming from your smartphone’s speakers inside the enclosure. The smartphone mount within the View-Master has been redesigned, meaning you can use smaller phones such as the iPhone 5 without needing a separate adaptor. It also features enhanced optical lenses and a focal adjustment wheel to improve and sharpen the images. Finally, the viewer’s latch has been redesigned, so there’s no risk of it unexpectedly popping open – something that occasionally happened with the original device. There will also be dinosaur-themed ‘experience pack’ made in collaboration with National Geographic that will feature a “survival adventure game” and interactive dinosaur skeletons. This pack adds to the already-available Space, Destinations, and Wildlife experiences. The Viewer DLX is expected to launch in the fall for $39.99. Considering that the original usually costs around $30, an extra $10 for those upgrades seems a pretty good deal. The labyrinth game will cost around $19.99, and the dinosaur experience will sell for $14.99. Both will be released at the same time as the Viewer DLX.